*Due to new ICANN regulations, if you make any changes to the domain’s contact details (email address, registrant name, organization name, etc. ), the domain will be locked at the current registrar for 60 days. For this purpose, we recommend that you don’t update your domain unless it is really necessary. 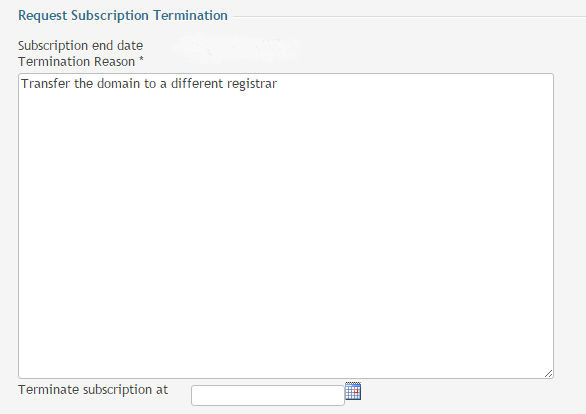 Go to “all my domains” in the subscription drop-down at the top of the Panel, then go to Home > subscriptions as below. Once your request is submitted, our domains team will unlock the domain for transfer and email the EPP code to the domain registrant email address. Please note that termination requests are processed during UK business hours only. Any requests submitted outside business hours or during weekends, will be handled the next working day. The domain transfer request must submitted in the same way as outlined above. The only difference is that you need to also provide us with the new registrar’s IPS tag so that we can update it accordingly. 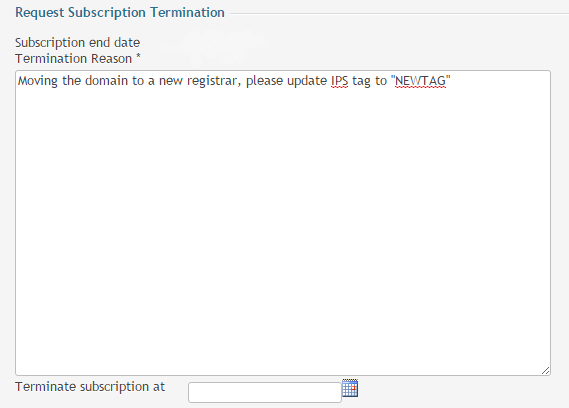 Just add it in the termination reason box, and we’ll do the rest! If you're still having problems, get in touch with our 24/7 support team! We'll be more than happy to help.